We start from Gas Street Basin and Worcester Bar in the centre of Birmingham and pass Old Turn Junction to see the loops of Brindley’s Old Main Line and the more direct route of Telford’s New Main Line. We progress along the New Main Line to Wolverhampton and the 21 locks which lower us to the summit pound of the Staffs & Worcester Canal at Autherley Junction. 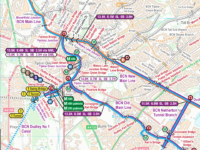 We cover the twists and turns of the Old Main Line from Smethwick Junction including the branches – the Engine Arm, Spon Lane Locks, the Titford Canal, the Causeway Green Branch, the Gower Branch, and the northern portal of Dudley Tunnel. We head south to Delph locks through Netherton Tunnel and reach Hawne Basin – and we head north including the Ridgeacre Branch, the Walsall Canal, the Wyrley and Essington Canal to Anglesey Basin, the Rushall Canal and the Tame Valley Canal. We visit both routes to reach Aston Junction – via the Garrison Locks of the Grand Union Canal and the Digbeth Branches, and via the Aston locks of the Birmingham & Fazeley Canal. Return to Gas Street is via the Farmers Bridge Locks. 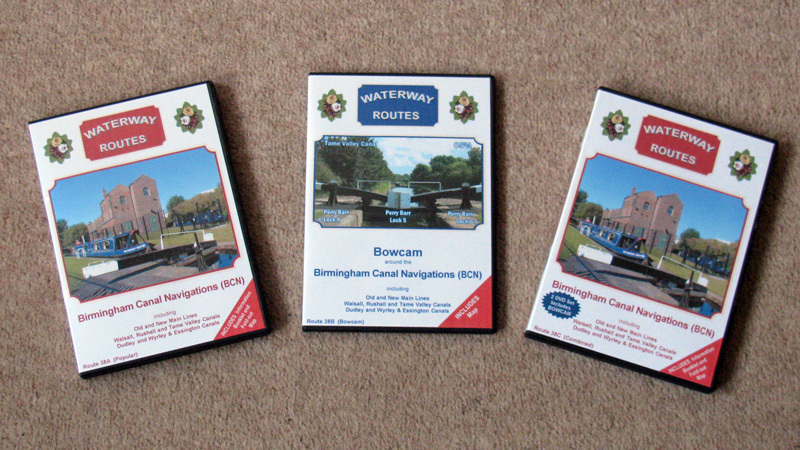 Route covered by the Birmingham Canal Navigations (BCN) DVDs. Birmingham Canal Navigations (BCN) DVDs in a choice of formats. Contents of Birmingham Canal Navigations (BCN) Combined DVD. 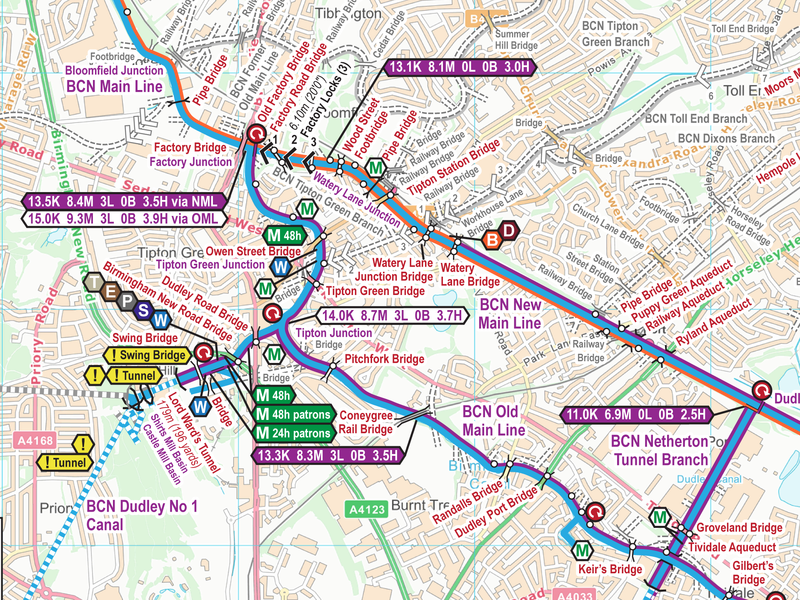 Extract from my Birmingham Canal Navigations (BCN) Maps. 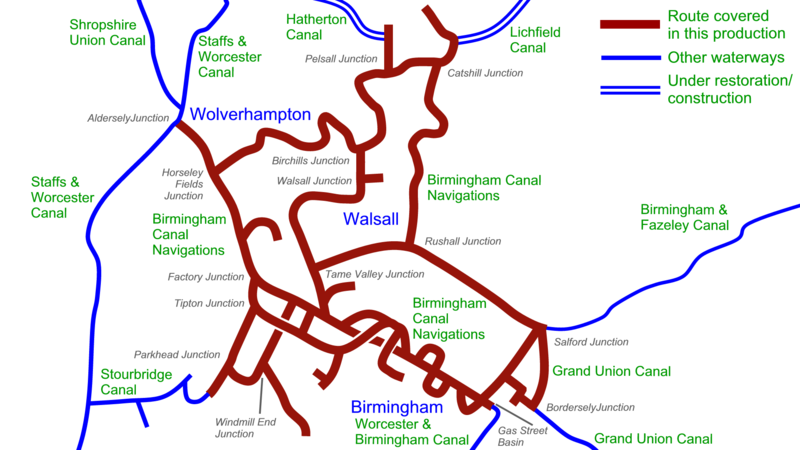 Read more about my Birmingham Canal Navigations (BCN) Maps. 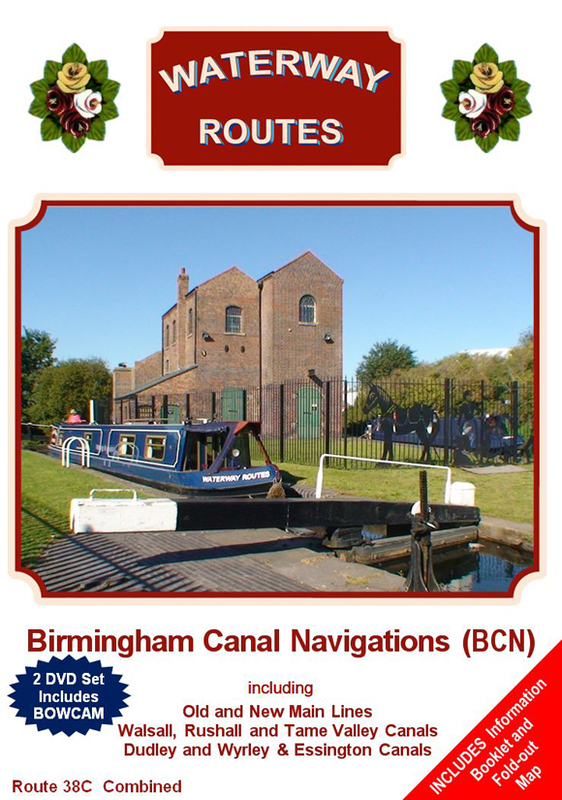 Save 10% on both when you buy a Birmingham Canal Navigations (BCN) Map and DVD together. Automatically deducted at checkout.